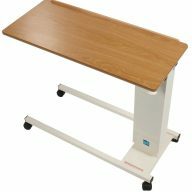 An adjustable height table with an attractive light oak top that features raised edges to help prevent items slipping off when the top is tilted. 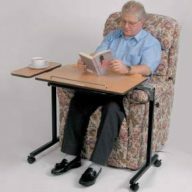 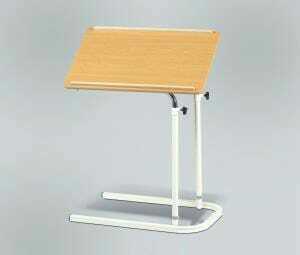 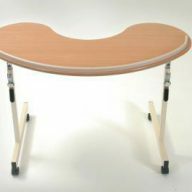 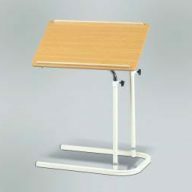 No castors allows the table to be used under a bed or chair with low clearance. 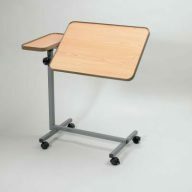 Height adjustable from 25 to 37″ Can be tilted from 0 to 70°. 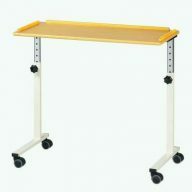 Width 25″ Depth 16″.